Happy Valentine's Day everyone, not only from Daily Billboard, but also courtesy of 'E.B.' from the forthcoming live-action and computer-animated comedy, Hop. 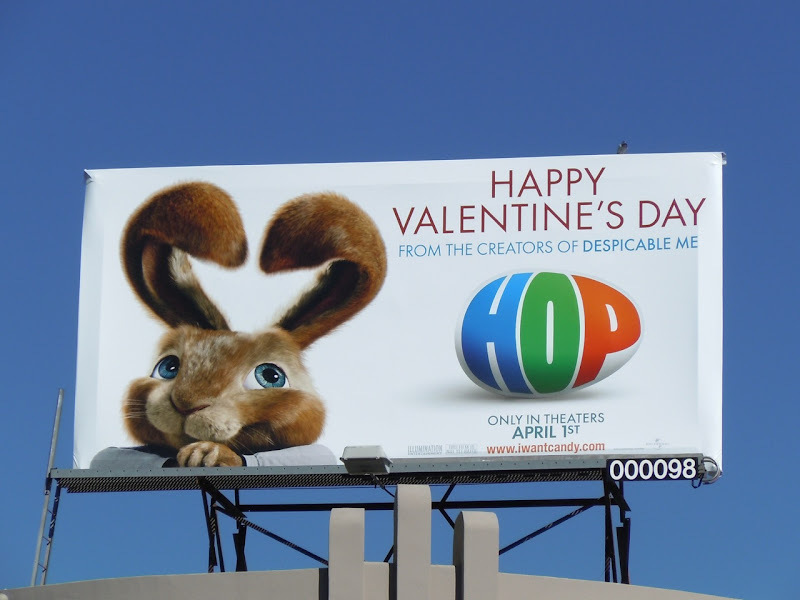 The son of the Easter Bunny looks adorable in this teaser movie billboard with his rabbit ears in the shape of a heart and it's a nice way to build awareness of a character that we've never seen before. This fun creative was snapped along L.A.'s Beverly Boulevard on February 10, 2011. 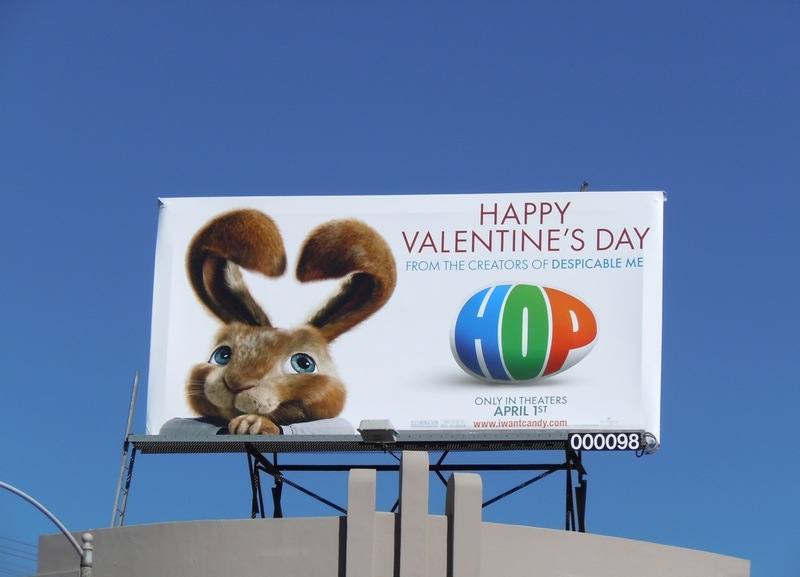 Be sure to also check out another teaser billboard for Hop here at Daily Billboard.